That is very impressive! 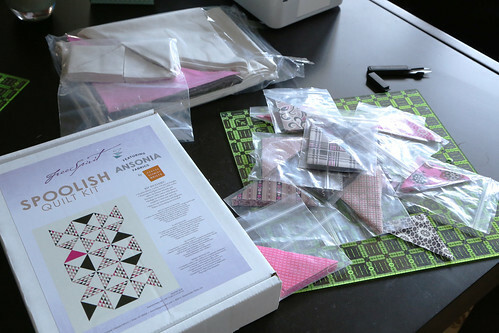 It is great the kit came with all the triangles cut out -- I can't imagine having to do the cutting as well as the piecing! Truth be told I can't imagine working on a block with so many little pieces...but I wish I could! I look forward to seeing your finished quilt. What a striking design; the more so I think because of the limited palette. How many more tiny triangles do you have to make? Love all your pointy points! 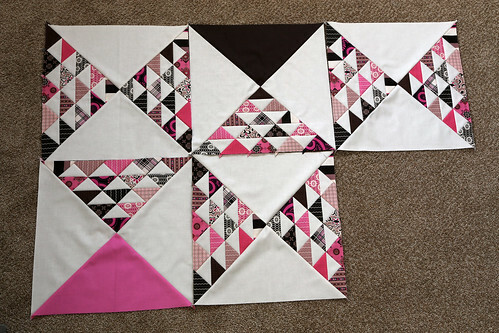 Personally I find it better not to know exactly how many triangles I need to piece before I start! It's scary how quickly the numbers add up!! Laughing at your insanity reference too, you might be right about that!! 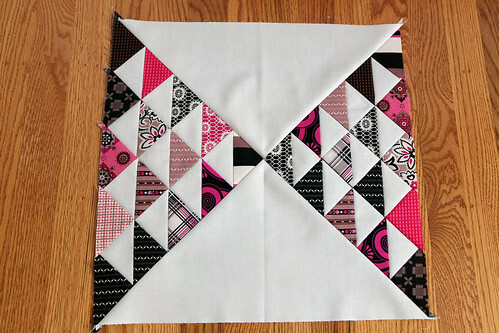 This is going to look really amazing when it's done - love the black and hot pink together! Looks great! Not the kind of block to pick for a bee then! Love your colour combos!